Entering the podium during the display of the Miu Miu brand, actress Uma Thurman attracted the attention of insiders of the fashion industry. Without thinking twice, representatives of the British magazine on the youth culture Love also decided to cooperate with her. Thurman starred for one of the jubilee covers of the publication. The photographer was made by Willy Vanderperre who captured the actress in black and white. Recall that the magazine celebrates its 10th anniversary and attracted to participate in this event the brightest models, actresses and fashionable influenzers. On his cover are already flaunting: Kendall Jenner, Gigi Hadid, Ariel Nicholson, Naomi Campbell and Advoa Aboa. 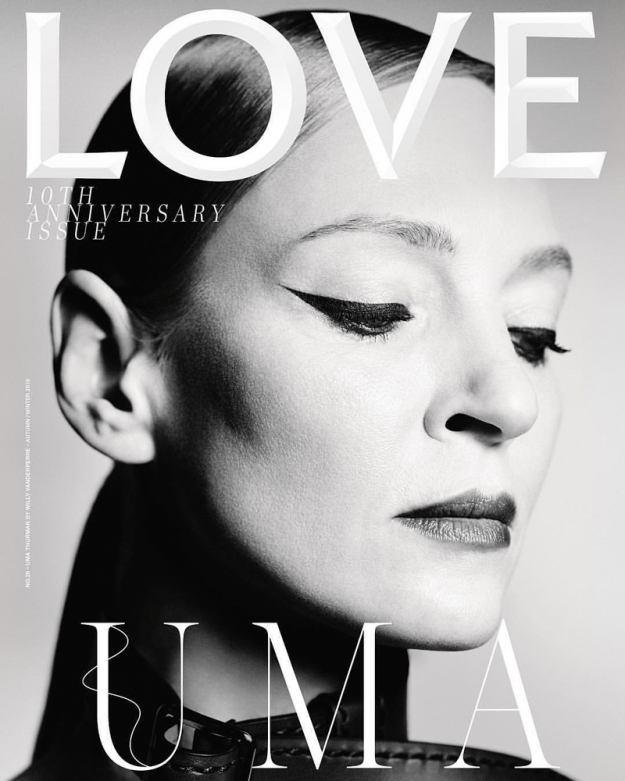 The magazine is published only twice a year, and a new issue can be purchased from August 6.